ATHENS - The Dawg Post crew tell you what to look for this Friday night and Saturday, and their final takes, views and predictions for this weekend. Was a pretty average week, honestly. Jim Chaney wasn’t nearly as entertaining as I was hoping in practice, but it’s whatever. The coaching staff as a whole was still super fired up when I got to see them, more so then they were last week. So if I had to guess, I would assume that Georgia will probably stomp all over Middle Tennessee State. Someone the other day was saying, “Well, this is probably the best offense that Georgia has seen this season, so you don’t know.” First: the pool of offenses Georgia has faced this season isn’t very large or competitive. Second: Yes, I do know, and we all know. Georgia is not losing to MTSU, and it won’t even be close. No matter how good their Conference USA offense is. Georgia is going to dismantle this team, and they’re going to cover the spread—52-7. As for my week, it was alright. I didn’t see my neighbor’s paraplegic cat climb a fence again, so that’s a little disappointing. Following up on my intro to religion class that I mentioned a couple weeks ago, I had my first test. Wow, I was hopelessly confused. I thought I knew an OK amount about the Jewish religion. I do not. I now have to wait to get my grade back and hope my dad doesn’t ask me about how “some easy A religion class,”, as I phrased it to him, is going. Because sadly, it is not going well. I was told that my Communication Law class, a very tough class, was going to be the most difficult class I take in college. That was a lie. It is this 1001 Introduction to Religion class. 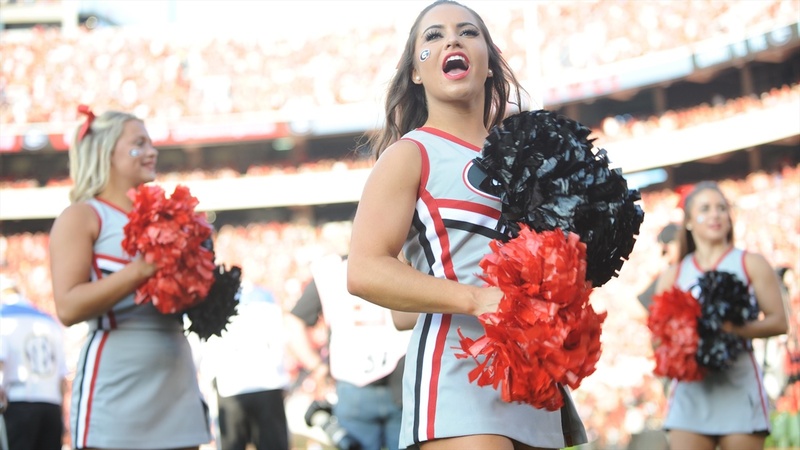 It’s week three of college football, and your Georgia Bulldogs are coming off an impressive win on the road against South Carolina. The line of scrimmage and overall depth allowed the Bulldogs to run away with the game early in the 2nd half, so look for that to happen again this weekend against Middle Tennessee State. Now a noon game, the Bulldogs should have a drama-free victory in week 3 thanks to a strong defense and one of the best rushing attacks in college football. I’m expecting a 51-7 type of game. Look for Fields to get plenty of action, along with many members of this fantastic freshman class. The big game of the week is obviously LSU at Auburn which should be an absolute war. I like the Auburn Tigers to sneak out a 24-21 victory at home in this one. The Clemson Tigers edged out a Texas A&M team that looked way better than I thought they would. Are the Aggies for real? Only time will tell, but if they can give Clemson a tough game, expect them to give Alabama, Auburn, and LSU a tough time too. I think the Aggies will upset one of those three teams at some point this season. As for recruiting, I’ll be flying to Memphis on Friday morning to see Bulldog commitment Bill Norton. As with every Bulldog commitment, I've got high expectations. He’s a big guy who can play both DE and DT at the next level. I’m expecting him to make lots of plays and be VERY tough to block. Fantasy football is finally here and the Kennesaw Strudels are off to a rough start. Amari Cooper is nowhere to be found. Can’t believe I wasted my 8th round pick on him. Kareem Hunt and David Johnson didn’t help me much either. Glad I was able to grab the Bears defense though. Roquan Smith is already a fan favorite in Chicago and will play more and more each week. The former Bulldog legend will be a star in the NFL sooner than later. The Braves are now 7.5 games up on those losers from Philadelphia and are almost guaranteed a spot in the playoffs. I’ve watched the Braves my entire life so I know how this story goes. It’s been a great season, but the Braves do not have the experienced bats, starting rotation, and bullpen to make a bug postseason run. The National League is nothing compared to the American League, but I’m not expecting the Braves to go very far. There’s a ton of young talent on this team but experience and starting pitching is what wins you ball games in October. The Braves should have a good team for years to come, but I’m not expecting a World Series fun from this group just yet. In all seriousness, my thoughts and prayers are with everyone in the Carolinas right now with this hurricane on the way. It’s a terrible situation and I hope everyone finds a safe place to stay during the weekend. Well we’ve reached the end of the week, and this hurricane has finally gotten to the east coast. What I don’t understand about these storms is why, after telling people to leave for days, TV spotlights the folks who actually stay for the storm. We’ve spent days telling everyone to leave. Now we are highlighting the folks staying? No. Don’t walk with them. They are the ones at risk the most. Why they are staying is irrelevant. We’ve seen this a million times. The folks who leave very rarely are the one who get hurt. Cool. Ride it out. Just don’t spotlight it. This game is a joke. I understand moving it from 7:15 to noon, but I would have preferred a night game. MTSU seemed hell bent on playing the game earlier. Frankly, I am not sure why. The Nashville area isn’t going to see anything from this storm until Monday at the earliest - if it sees it at all. The Blue Raiders wouldn’t get stranded in Athens, either. Nonetheless, the game will move forward at noon, and it gives everyone the chance to get in and out of the stadium. If these games kicked off at 11 AM each time I would be good with it. I’m just worn out on the sun. Missouri will be a good break from the heat next week. It is set to be mostly sunny and 71 degrees next Saturday in Missouri. I will be watching Oconee County’s Max Johnson Friday night. UGA has turned up the heat on the local product since the spring. We will see how that goes as Oconee travels to Cedar Shoals for an Athens-area fight. I’m glad we are getting to the point in the year where grass no longer has to be cut. Soon the spiders will be all over, and Halloween will be here. The last four years my daughter has gone as Witch Sara, an imaginary witch she made up who is not meant to scare you because she is a “friendly witch” who tells jokes and insists that you not be scared. Now Vampirina, a purple vampire who moved with her family from Transylvania to Pennsylvania “to open a local bed and breakfast”, sees to be edging Witch Sara out. I will continue to update. Right now Vampirina is a 2-point favorite over Witch Sara. UGA is now listed as a 33-point favorite over MTSU. I’ve got UGA to cover. We went up to MTSU and Tennessee Tech multiple times in high school for basketball camps. I “think” we were at MTSU when we scrimmaged Ron Mercer and Goodpasture, which is near Nashville. We beat Goodpasture, but on a missed free throw attempt he was shooting, Mercer got the rebound, took a step without dribbling and dunked it. It was pretty amazing. (Yes, I blocked my man out, but the way the ball moved off the rim it made it easy for him to get the ball and be amazing). Than again, No. 6 overall NBA draft picks should be amazing. Behave, and get home safely this week. I might go with Ribs Saturday night if Dylan behaves himself.